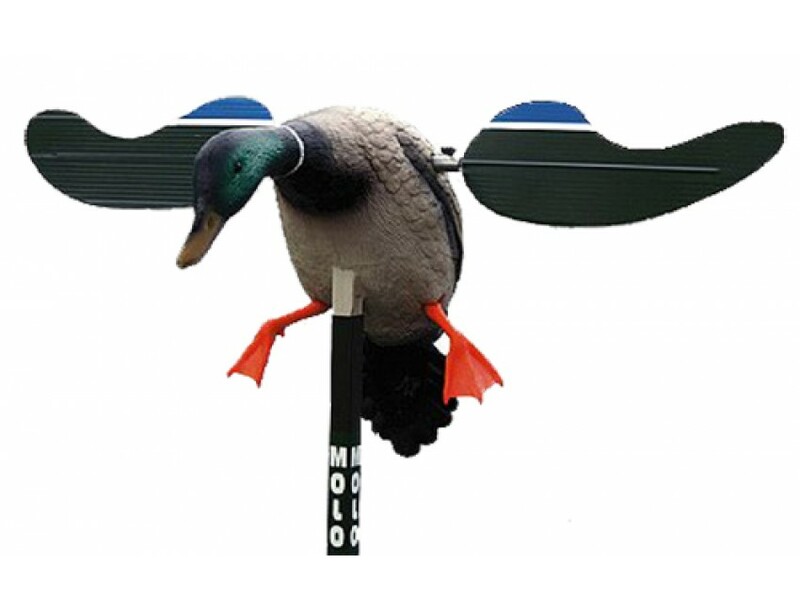 The Baby Mojo is approximately 78 percent size to scale of the Mojo mallard and comes with a 6-volt rechargeable battery, charger, and everything you need to hunt. It has an external charging port allowing the hunter the option of charging the battery without disassembling the decoy. In addition, it has a battery bracket holding the battery securely and eliminating the potential for vibratory noise. The decoy also includes a factory installed remote receiver plug allowing the hunter to convert the baby Mojo into a remote controlled unit in seconds.